I started fishing around the age of 12, first started fishing over a local golf course pond then South Weald In Essex swing tipping for roach bream and the large Gudgeon that the lake held, I can remember well, watching the older anglers fishing for Carp and being in awe seeing them on the bank, thinking just one day…, a small group of us fished for years together visiting local day ticket lakes here there and everywhere but always being drawn back to the Weald,My mates gave up fishing and I joined a non publicity venue at the age of 13 and used to fish with my dad, eventually I was allowed to fish on my own if their was a baliff present and this is where the bug of carp fishing took hold, I struggled for a few seasons until the owner took me to one side and showed me how to tie some rigs and how to find spots etc, from there on in fishing gained momentum and have always held said angler in high regard, I fished the same lake until my 18th birthday when I met my now wife…. fishing took a back seat for one reason and another…. 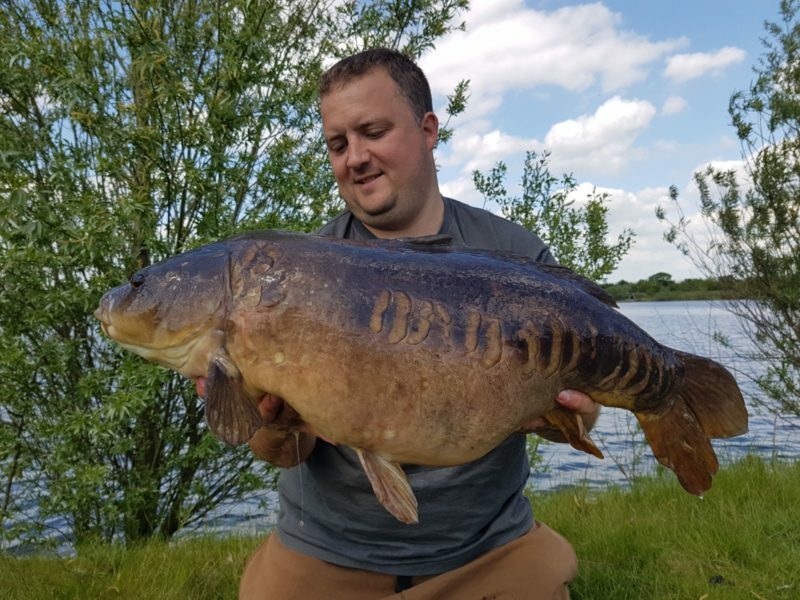 about at the age of 22 ish i started fishing again and fished the likes of Hainault Fairlop etc, fast forward a fair few years and I am still happily married with two great sons one of which comes fishing all the time and the eldest is 17 he’s busy chasing something other than carp…. ‘re ocouring theme….. I am currently fishing the same non publicity venue along with the Dell in Upminster which I have fished for many years and a couple of other local syndicates. Carp rods are not always out a waggler / feeder down local rivers and lakes also happens from time to time, and a trip to France once or twice a year is always on the cards. But I always keep at the forefront that family is always more important than fishing, the hole will always have water in it and you can return anytime, enjoy your fishing, it’s the best hobbie to be involved in. Being new to Eclipse baits I am eager to be involved it was great to be invited to see Dave who was one of the Weald regulars back in the day, I am very excited to see what the future holds.